If you want to truly immerse yourself in your fandom at a concert, take a great friend who is as pumped to be there as you are. 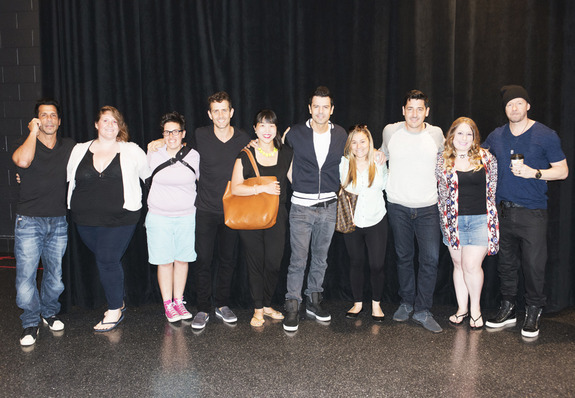 I couldn't have asked for a more awesome or hilarious NKOTB companion than my friend Casey (of Life With Roozle). Weirdly, this is the only picture I took with her, and it's not a particularly flattering one (for me anyway!) but it captures our silliness and joy and expectation so perfectly. We danced so hard (Nelly! TLC! 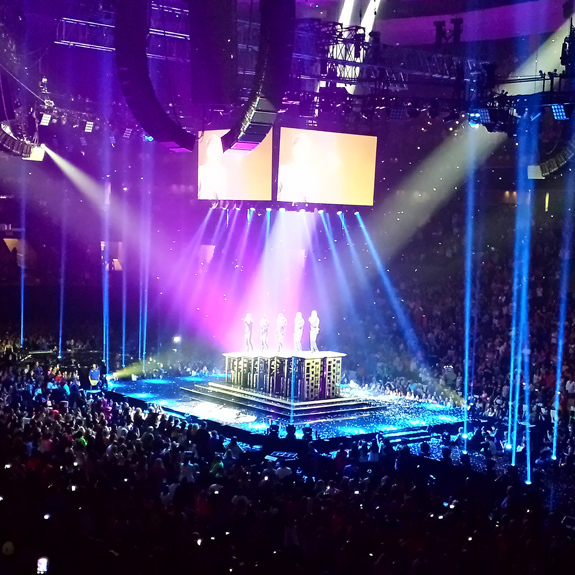 NKOTB!) that everything hurt the next day. We met NKOTB before the show and as it turns out, Casey and I said nothing about ourselves (e.g., "I'm your biggest fan!") during the meet and greet. I said something along the lines of "Thank you for taking the time" (because I figured man, these guys must be exhausted and want to get on with it!) and Casey said "Have a great show." NKOTB seemed really appreciative of this, and no joke, Donnie Wahlberg wouldn't let go of Casey's hand. As I mentioned, I haven't been to a stadium concert in a while and I forgot how massive and shifting a large crowd can be. This may freak some people out, but I actually like how it serves as a reminder of how I'm just a very small part of something bigger. 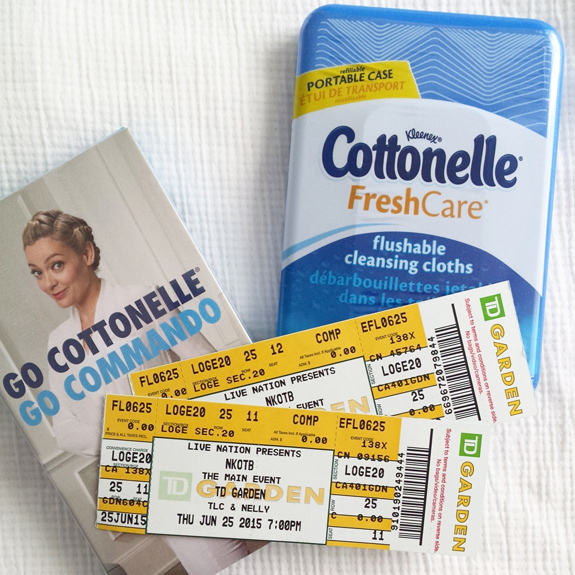 When Cottonelle first reached out to me about this partnership and the Go Cottonelle Go Commando campaign, I'll admit that I was a little confused at first (because toilet paper is not the first thing I think of when I think of NKOTB!). But not only did their sponsorship make sense on site (who doesn't want a nice, clean bathroom experience at a stadium concert??) but I'm also REALLY happy to add their cute little sampling kits to my organizational ninja bags so that I'm prepared at the next inevitable summer porta potty stop that is out of toilet paper. We've also been using their cleansing cloths on Vi before bed. In short, it was a fantastic experience and I'm grateful to Cottonelle for sending me to the event, though I remain super bummed that the AT&T cell towers were apparently so jammed up that I couldn't broadcast via Periscope as planned and none of my pictures would load while at the show! Finally, if you want to try samples, post a Go Cottonelle Go Commando dare online, and you + friend will receive free samples. Disclosure: I'm sharing about Cottonelle’s NKOTB The Main Event Tour sponsorship as a compensated #GoCommando correspondent. All opinions and thoughts are -- of course -- my own!